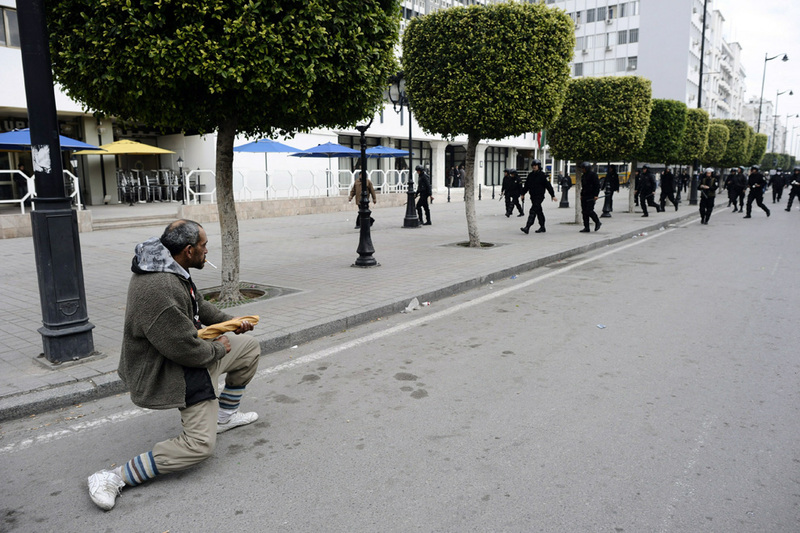 A Tunisian demonstrator holds his breadstick like a weapon in front of riot police during a protest against the country's new government in Tunis on January 18, 2011. – Abandon the internet! It’s time to start thinking about its successor. – The White House, through the Commerce Department, is pushing for internet IDs. I suppose Commerce is probably a slightly less troubling agency than the NSA or DHS, but still. While I welcome anything that might stop YouTube comments, this is not a solution to anything. Even the master password system under discussion is not something anyone should be interested in (via the Daemon Technology Feed). – A really profound and thought-provoking piece on digital life after death. Time to prepare a virtual will. – Historians have ceded the debate over an American “character” to sociologists (ew). Time to reclaim the mantle, says David M. Kennedy. Yuri Orlov: [chuckles] I don’t want to be remembered at all. If I’m being remembered, it means I’m dead.